Washington (AFP) - European nations must take back hundreds of Islamic State group fighters captured in Syria, President Donald Trump said late Saturday, after a delay in announcing what he said would be the end of the "caliphate." 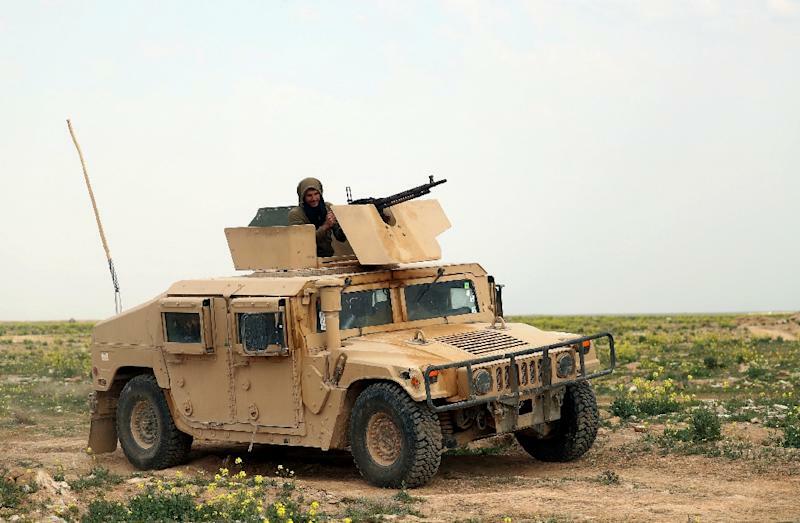 Trump shocked allies in December by declaring the pullout of roughly 2,000 US troops who had been assisting local forces in Syria against IS, whose sole remaining territory is half a square kilometer (one-fifth of a square mile) in eastern Syria. The pending US pullout set off a countdown for governments whose citizens, having joined IS, were captured by the US-backed, Kurdish-led Syrian Democratic Forces (SDF). "The Caliphate is ready to fall. The alternative is not a good one in that we will be forced to release them. The U.S. does not want to watch as these ISIS fighters permeate Europe, which is where they are expected to go." Once the US-led coalition declares it has taken all IS territories, the White House is expected to withdraw American troops. When that happens, the risk is high that "foreign terrorist fighters" will escape SDF control, posing a new threat. For about two weeks, the Trump administration has been pushing its allies to take their citizens home, and the US said it was ready to help in the repatriation, but time has been running out. Several countries, including France, that have chosen to leave the jihadists in SDF detention now confront a diplomatic, legal, political and logistical puzzle. "We do so much, and spend so much - Time for others to step up and do the job that they are so capable of doing. We are pulling back after 100% Caliphate victory!" Trump said in his late-Saturday tweets. On Friday he said announcements on the fall of the caliphate would be made "over the next 24 hours," but that deadline came and went. An SDF commander said his US-backed forces slowed their advance to protect civilians. The jihadists declared a "caliphate" in large parts of Syria and neighboring Iraq in 2014, but have since lost all but a tiny patch of territory near the Iraqi border. Trump's Syria pullout has highlighted the deep trans-Atlantic rift that emerged under his presidency, and the differing views of the two sides were on display Saturday at a security conference in Munich. A French government source criticized the Trump administration's approach as "we're leaving, you're staying" and added: "They're trying to manage the consequences of a hasty decision and making us carry the responsibility."